This report highlights primary outcomes for Double Up Food Bucks (DUFB) customers as well as participating farmers. Read about the community impact of DUFB and share the report with anyone who might be interested. 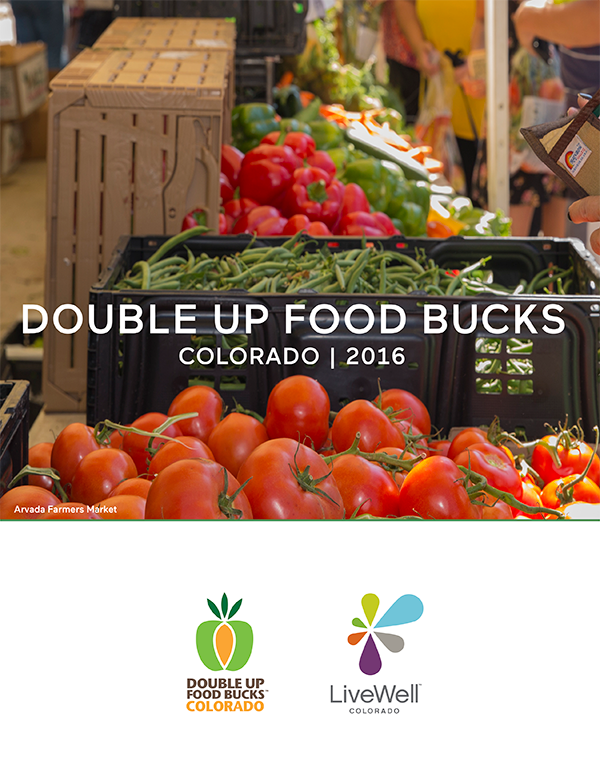 Click here or on the image below to view/download the 2016 Double Up Food Bucks Colorado (DUFB) Evaluation Summary. If you would like to receive a copy of the full evaluation report, which offers a better understanding of the of the benefits and challenges partners faced in implementing the program, please fill out the form on this page.